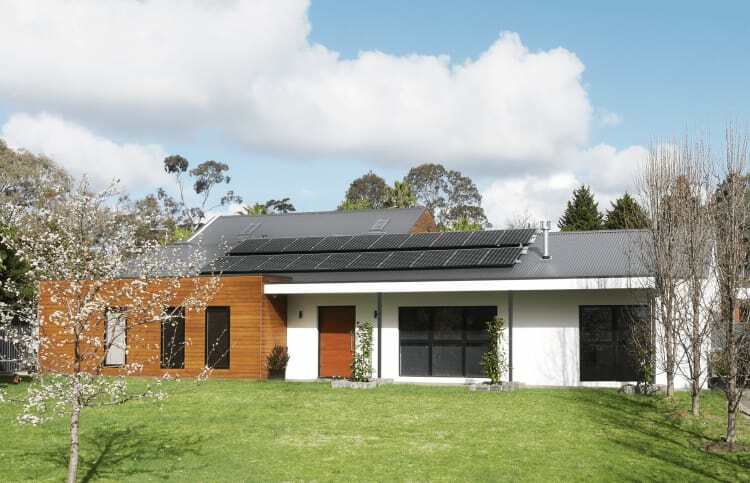 About the project: This 1970's family home on a lifestyle plot situated in Mornington Peninsula was in serious need of modernisation – and expansion. The architects needed to adjust the layout to accommodate the busy lifestyles of a growing family and the owner's parents. The challenge was figuring out how to effectively provide the most habitable yet independent space within the extension whilst respecting the integrity and language of the existing house. The architects visualised this with careful planning and an understanding of how the old home should link with a new annex building replacing the existing garage. In terms of materials, adding timber cladding to the proposed extension emphasises a juxtaposition of the transition between the old, white render finished wall and the new addition. The overall plan allows for various and flexible use of the house which was not possible previously. It's also allowed for an open and modern way of living where families can entertain from one area of the house and seamlessly live in another. There are also strong indoor/outdoor connections throughout, by means of physical and visual links to both the front and rear garden.